PARIS, April 8 – No further air strikes will be launched, and no more troops to be sent on the ground of Libya to combat ISIS militants, as France’s foreign minister stated on Friday that it ruled out the aforementioned measures, however it said it could aid in securing the U.N.-brokered national unity government in Tripoli. Holding hopes on different aspects, all western powers are supporting the unity government, having faith that it will seek foreign support to confront ISIS militants, deal with migrant flows from Libya to Europe and restore oil production to shore up Libya’s economy. Nevertheless, it is uncertain and worrying that any direct military intervention has the chance to make things worse in regard of the current situation, especially if a political void remains with its influence on the country. 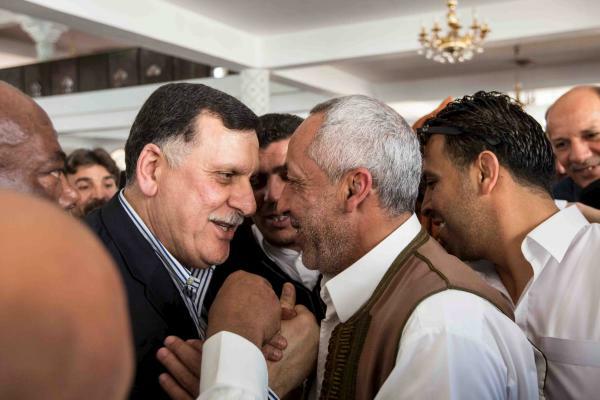 So far there have been no other requests from Seraj other than to aid him leave the country, should the security situation in Tripoli deteriorate, said Diplomatic sources. Noting that Paris played a leading part in the NATO air campaign that helped rebels overthrow Muammar Gaddafi in 2011 but later regretted the lack of support given to the authorities afterwards. By the time French military advisers operate on the ground in conjunction with Britain and the United States, “french” aircraft are now conducting reconnaissance flights over Libya. Ayrault said this week France hoped to reopen its embassy in as soon as possible as a sign of support for Libya’s new unity government. “Yesterday, I spoke to Mr Seraj, who invited me to come to Libya. As soon as the conditions are right, I shall go,” Ayrault said.